Here we have it!! Crispy Edamame with Parmesan is the perfect sequel to Crunchy Roasted Chickpeas. The chickpeas are by far one of our most popular recipes. So, it seems to me that people love healthier snack options. 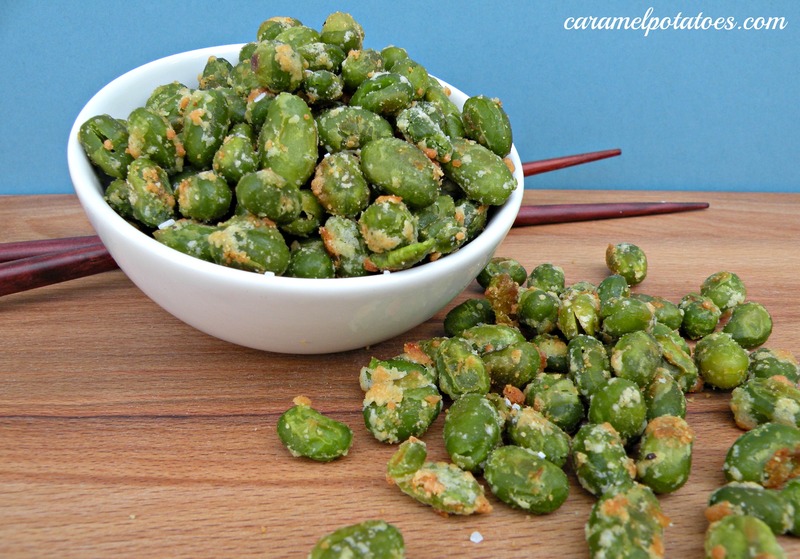 The edamame is just as easy and quick to prepare and is another great snack. Roasting it in the oven give the outside a nice crispy coating leaving the inside somewhat soft. I promise these are highly addictive and that’s okay! Edamame is naturally nutritious: rich in protein, iron, fiber and anti-oxidants. 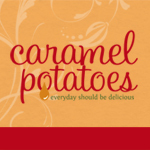 They are low-fat, low carb, no cholesterol, gluten-free, and much more. You don’t have to feel the guilt after eating this snack. Even kids can’t get enough. I literally had to hide these little green soybeans from my daughter. She was eating them faster than I could get them set up to photograph. Preheat the oven to 400. Pat dry the edamame. Spread the edamame beans onto a baking tray. Drizzle with olive oil. Sprinkle cheese over the top and season with salt and pepper. Stir to coat evenly. Bake in the preheated oven until the cheese is crispy and golden, about 25 minutes. *Recipe slightly adapted from allrecipes.com.